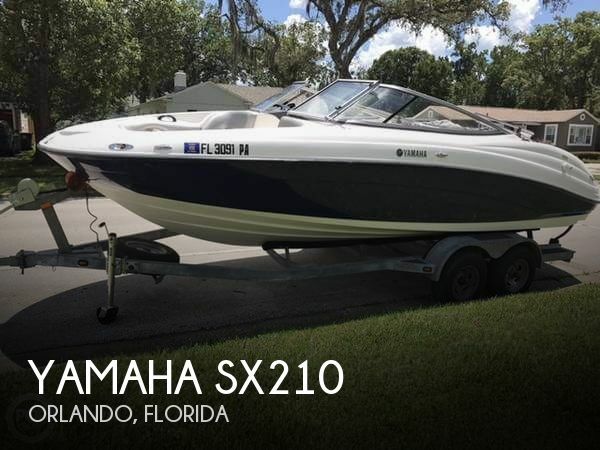 According to the Seller this Yamaha SX210, with only 150 hours, is in good condition. - No visible tears or marks on the seating. - Controls in good condition. - Hull has a few cosmetic docking scuff marks. 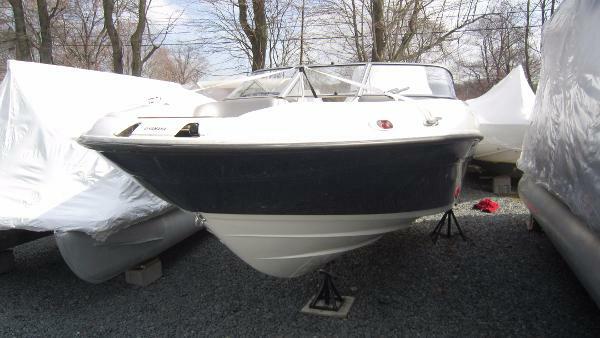 - The Bimini will need to be replaced due to driving without the Bimini cover in place. - The Humminbird fish finder is not currently working. 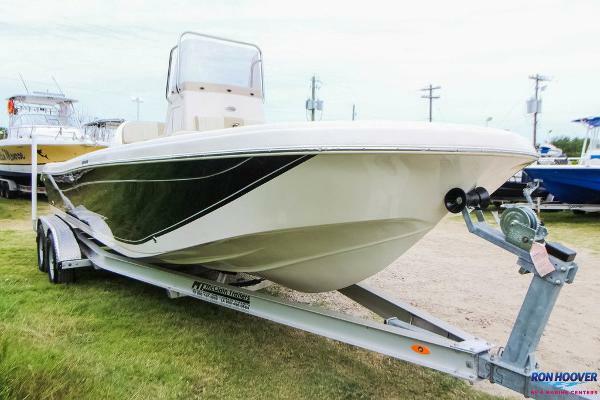 Stock #133725 Awesome Yamaha SX210, Low engine hours, spacious cockpit and bow lounging area If you are in the market for a jet boat, look no further than this 2010 Yamaha SX210, just reduced to $27,500 (offers encouraged). 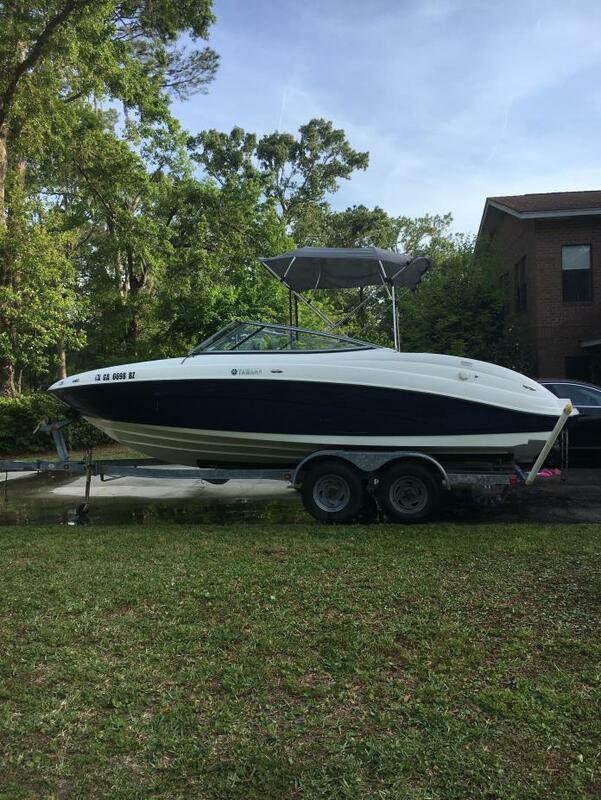 This boat is located in Orlando, Florida and is in good condition. 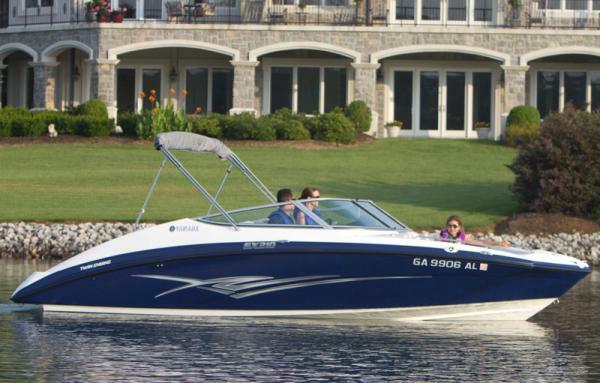 She is also equipped with twin Yamaha engines that have only 150 hours. Reason for selling is no longer using. 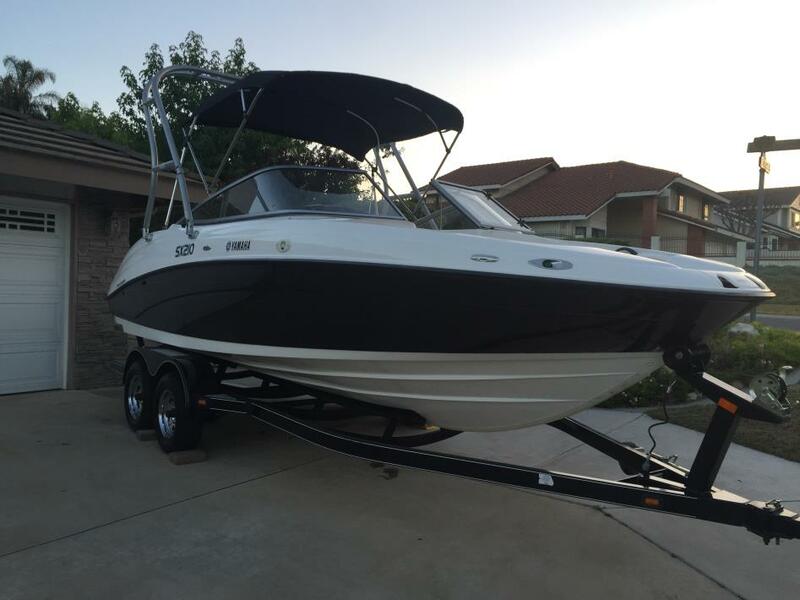 2010 Yamaha SX 210 pending deal SALE PENDING 2010 SX210 with trailer, one owner, with low hours. Owner bought new in 2011 and had some seasons never put in water. 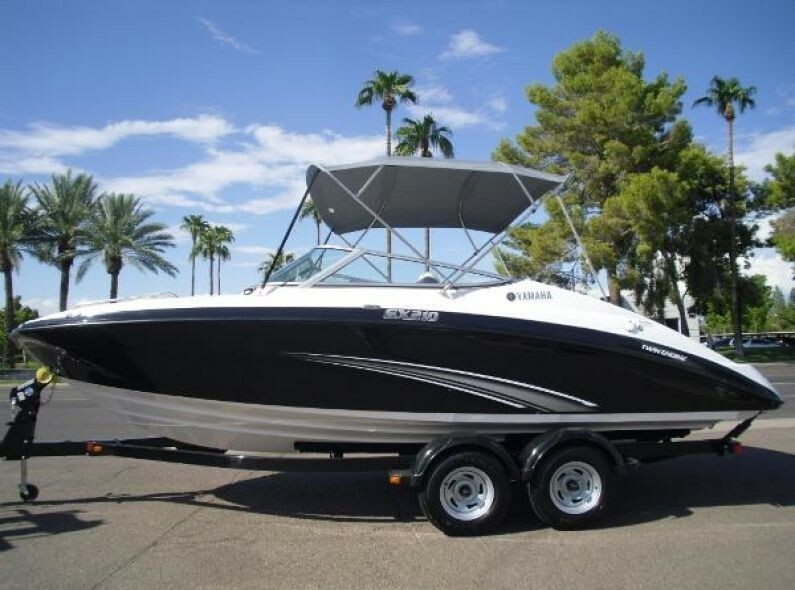 This boat has:Twin Yamaha marine engines Yamahas exclusive No Wake Mode Stern lounge area with table mount, backrests, and stereo remote JBL stereo with 4 speakers Reboarding ladders at the bow and stern Snap-in marine grade carpet Adjustable captains chair with flip-up bolster Top speed for the Yamaha SX210 is 46.6 mph (75 kph), burning 16.4 gallons per hour (gph) or 62.07 liters per hour (lph).Best cruise for the Yamaha SX210 (2011- ) is 31.1 mph (50.1 kph), and the boat gets 3.98 miles per gallon (mpg) or 1.69 kilometers per liter (kpl), giving the boat a cruising range of 180 miles (289.68 kilometers).Tested power is 2 x 1052 cc Yamaha Marine Engines. 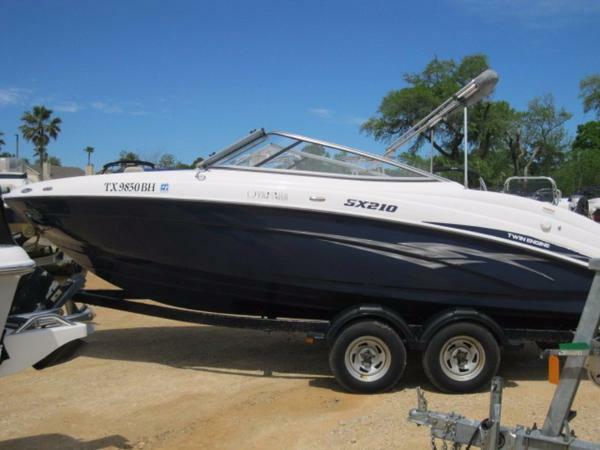 2008 Yamaha SX210 2008 Yamaha SX210 in GREAT condition with only 150 hours on each engine! 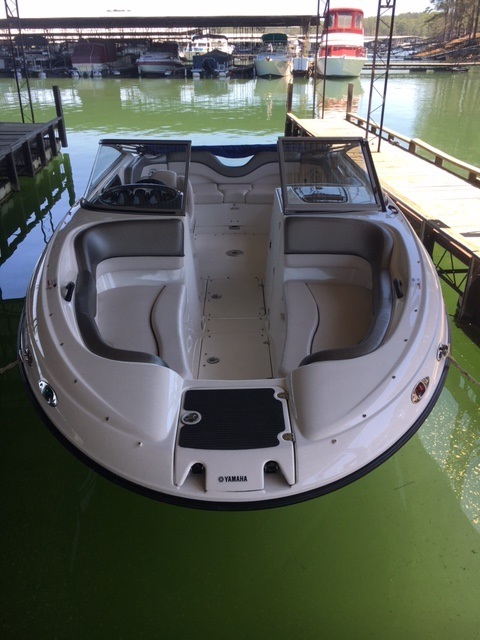 Located on Lake Allatoona in Georgia, this jet boat is the perfect summer time vehicle to enjoy with family and friends. A trailer is included in this price. Test drives are available on weekend only. 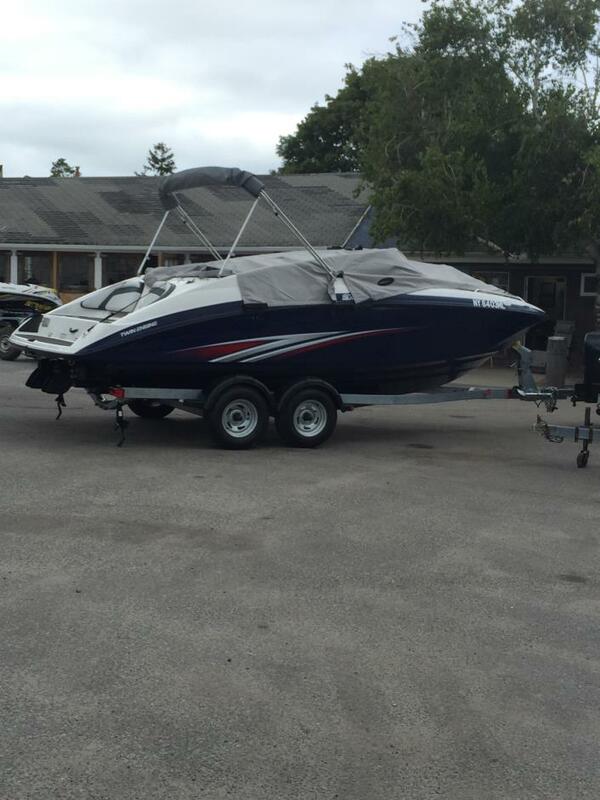 2010 Yamaha SX210 2010 Yamaha 210 SX Jet Boat - 21 feet - -includes 21' trailer. Low hours (less than 45). 10 person seating capacity. Bimini top. Depth finder. Bow filler cushion. Adjustable captains chair with flip up bolster. Removable dinette table for back seat or back sun deck. AM/FM radio. Snap in marine grade carpets. Storage "closet" and generous under seat storage throughout with built in floor cooler. Ladders in bow and stern. Air dam door. 2017 Yamaha SX 210 The Yamaha SX 210 is where affordability meets versatility. 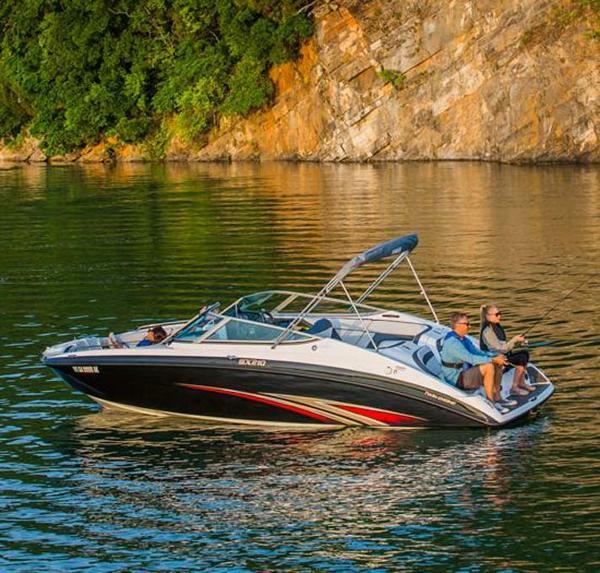 Some features with this model; snap in soft marine grade carpet, integrated removable cooler, infinity marine stereo and twin TR-1 high output marine engines. 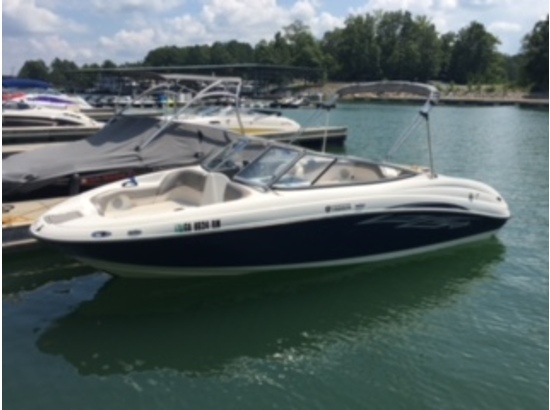 2015 Yamaha SX210 This boat is priced to sell! Excellent condition, has been kept in dry storage and only 1 owner, since bought new. 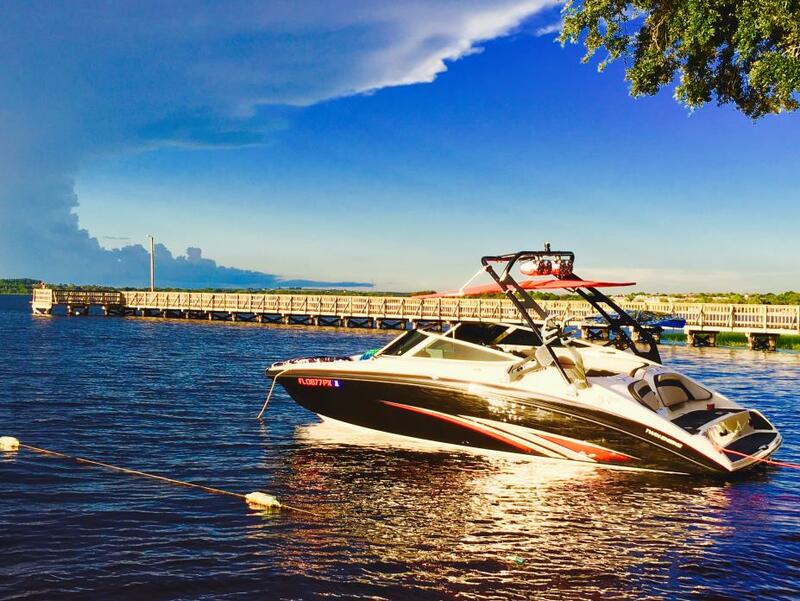 Uprgrades include: New Pro wakeboard tower installed professionally. Brand new sunbrella bimini top. Upgraded stereo system. This stereo rocks the water to say the least!!! Comes with 500w. Amplifier, marine grade tower speakers and 10 inch subwoofer. 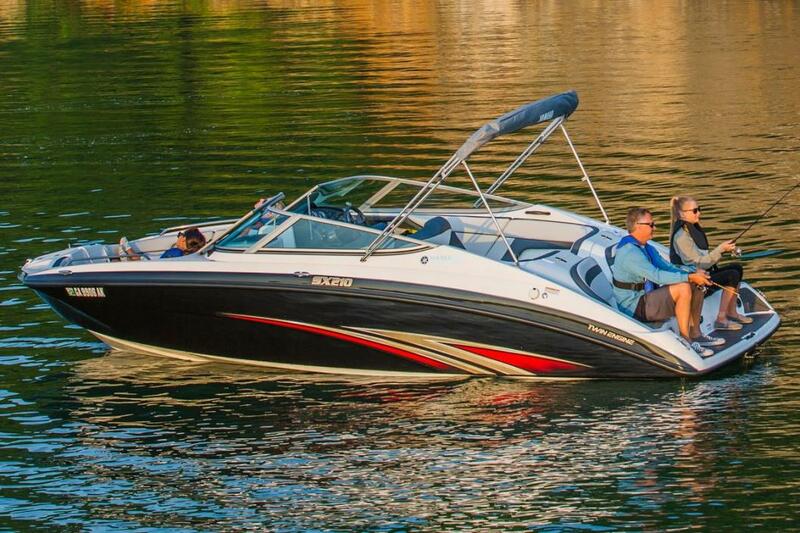 Equipped with upgraded folding tower racks, for knee, wake board and wake surf boards. Twin engine jet boat mantenanced on schedule. Low hours on engines. This boat is basically new and still smells/looks new. Over $8000 in upgrades. Serious inquiries only!!! 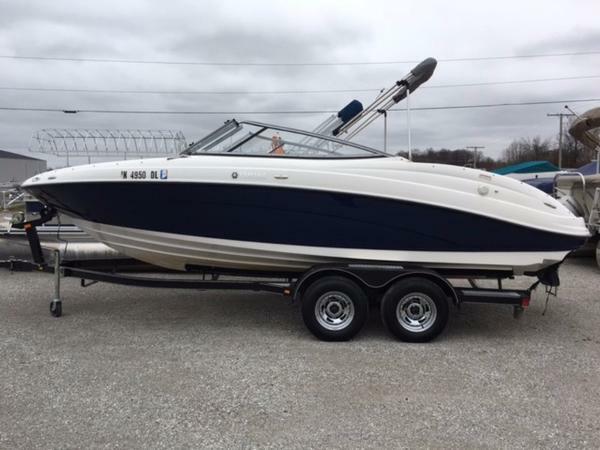 2010 Yamaha SX 210 SALE PENDING 2010 Yamaha SX 210 Yamaha Jet drive powered by Twin 110 HP engines. Bimini top, in-floor storage, air-dam door, bow and stern ladder,pop up cleats, depth finder, bow filler cushion, transom stereo control, bow and cockpit covers (torn in rear), Tandem axle trailer with break over tongue. A few scraps in fiberglass but overall very nice.